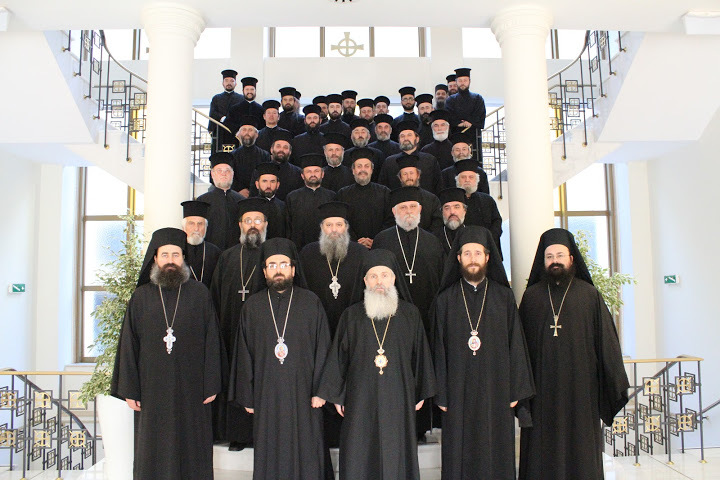 One of the principles of the Orthodox Autocephalous Church of Albania, since 1992 to the present under the leadership of His Beatitude, Archbishop of Tirana, Durres and all Albania, Anastasios, has been not to be connected with, either for or against, any political party. The Church is devoted to religious activity and to undertaking many social, educational and cultural initiatives. Immediately after the publication of the Official Statement about the inaccurate results regarding the religious affiliation in the 2011 Census there was a slanderous charge made by a political group with an extremist stance against Archbishop Anastasios. They insulted His Beatitude and accused him of “acts against the constitution” and of cooperating with Greek extremist circles in “anti-Albanian activities” regarding “the territorial integrity of Albania”. Finally they requested the President of Albania to take back the Gjergj Kastrioti Skënderbeu award which he had been given three years ago. Certainly, those who know Archbishop Anastasios well, including us, the clergy of the Archdiocese, all Albanian citizens, who have worked with him and closely followed him during all the years of his presence in Albania, know that the above-referenced statements are a shameless distortion of the truth, inventions of sick fantasies, without any ground, absolutely unjust. But since the important national and religious issues are very sensitive, especially most recently and, therefore, misinformation might affect uninformed citizens and the youth in particular, we consider it, based on our experience, our obligation to respond, clearly and definitively to the series of false and unjust accusations which are often spitefully repeated regardless of our denial time after time. Archbishop Anastasios has lived and worked tirelessly together with us during the past twenty years. He has remained close to the people, even in the most difficult times (1997-1999) and helped them with his love and self-sacrifice. He has assisted not only the Orthodox, but everyone in need without considering their political or religious views. His Beatitude’s exceptional contribution to the complete restoration of the Orthodox Autocephalous Church of Albania — and the greatest flourishing ever in the history of the Church in Albania — is well-known not only internally, but also internationally. At the same time, he has contributed also to the economic development of the country and to the health, educational, social and cultural sectors; as well as his initiative, in 1999 to mobilize International Christian organizations in order to help about 33,000 refugees from Kosovo. Only blind fanatics would fail to notice such things. Nevertheless, the colossal accomplishments of Archbishop Anastasios cannot be destroyed by offensive words, fabricated lies, unfounded doubts and slanderous accusations. We, hundreds of thousands of Albanian Orthodox and other impartial citizens who observe his work know this reality quite well. It is absolutely ridiculous when people who have no connection to Orthodoxy or who may never even have lit a candle in Church, but rather undermine the work of the Church to present themselves as protectors of the Orthodox people of Albania, as scholars of the history of the Orthodox Church, able to declare conclusions about Church Canon Law. In addition, they advise Orthodox Christians about who should be their ecclesiastical leadership. However, we, the Albanian clergy and hundreds of thousands of Orthodox faithful, who are Albanian citizens, and devotedly follow our Church leader, are neither naive nor less patriotic. We have experience, morals and good judgment. We know our Archbishop very well; that he is always with us, shares the difficulties of our life, and offers his assistance to everyone regardless of their background. With regard to the Gjergj Kastriot Skenderbeu award, we know that Archbishop Anastasios is also an honorary citizen of Tirana and Korca and that he is not to be deprived of such honors. His exceptional contributions in Religious Science, in interfaith dialogue, in the peaceful coexistence among people and religious groups is internationally well known and he has been awarded many titles of Honorary Doctorate from universities (17) and international awards (25) from numerous countries. He is the elected President of the World Council of Churches in Geneva, and Honorary President of the World Conference of “Religions for Peace” organization in New York. All of the awards that Archbishop Anastasios has received honor also the Orthodox Autocephalous Church of Albania and our country. As to the advice or more exactly the threats against his own life, he is not worried or frightened at all. These kinds of threats were formulated even during past years. He has stated firmly, one who dedicates his life to the God of love and works for peaceful coexistence, for the relief of those who suffer, for the solidarity between people, does not fear anyone or anything; not even death. “Love casts out fear”.